The enemy is working overtime, he’s working 24/7/365 days so as to be able to shake your confidence. The enemy is working overtime just to break you down. The enemy is working overtime to get you out of your place in God because his time is almost up. The enemy is working overtime to eliminate your work in the kingdom, don’t let ANYTHING stop you from building. He is working overtime to steal, kill and to destroy. You must stayed prayed up. You must resist him and and he will flee. James 4:7 (AMP) says, “be subject to God. Resist the devil , and he will flee from you”. 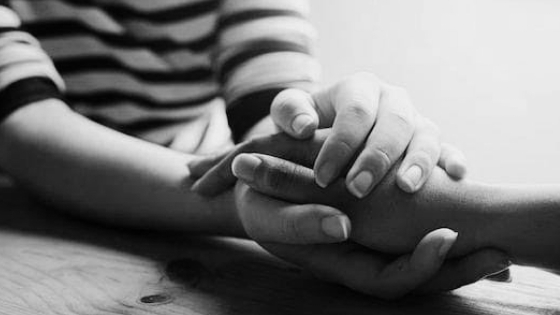 You are not without help. The enemy is working but GOD is also working full time, over time 24/7/365. Since the enemy is working overtime to make you believe following God will not pay off, remind yourself that you have come too far from where you started from. You can’t give up now. Stand firm knowing that no weapon formed or fashion against you can prosper. Isaiah 54:15-17 (AMP) says, “Behold, they may gather together and stir up strife, but it is not from Me. Whoever stirs up strife against you shall fall and surrender to you. 16 Behold, I have created the smith who blows on the fire of coals and who produces a weapon for its purpose; and I have created the devastator to destroy. 17 But no weapon that is formed against you shall prosper, and every tongue that shall rise against you in judgment you shall show to be in the wrong. This is the heritage of the servants of the Lord ; this is the righteousness or the vindication which they obtain from Me , says the Lord”. 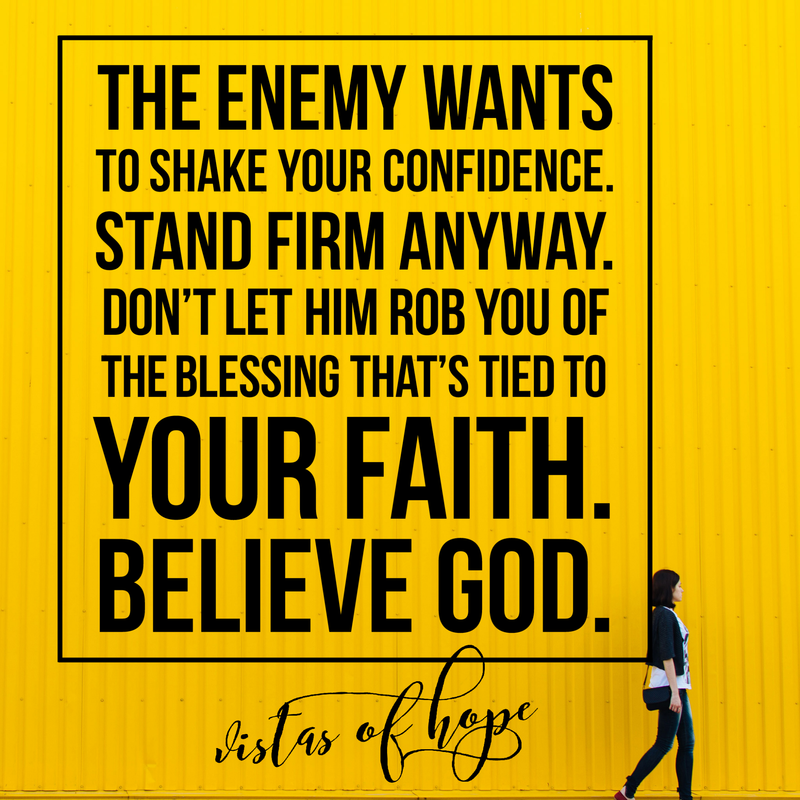 Don’t let him rob you of the blessings that’s tied to your faith. You have come too far to fail. You have come too far to give up on Him now. You have come too far to quit on His Word. You have come way too far from where you started from with God to quit. Success happens for those that refuse to give up, give out or quit! Fight the good fight of faith. Fight and don’t give up. You have come too far. This might be your role in history, in demonstrating the character of God. It is when you are very close to your breakthrough sometimes that is when the pressure of life seems to be the greatest. But you have come too far to give up now. Continue to stay strong and watch what happens in your situations. You might not have done all you wanted in the past 11 months of this glorious year of restoration but you have come too far to stop now. It doesn’t matter what you have been through, that’s life – they happen for your good. You have come too far to return empty.Whatever it’s that may have rattled you to the core, it does NOT have to break you! You have come too far to stop now! Look back on how far you have come and choose to believe God today. Choose to stay the course and on purpose. The universe has your back. Come into an agreement with God and DECIDE you have come too far to turn back now! Don’t get weary, don’t give up! You have come too far to look back. Learn from your experiences, good or bad and stay the course. YOU HAVE COME TOO FAR TO END IT. You were made for so much more. His Name is sufficient for you to go through whatever situation you are in right now. You have come a long way too far the Lord cannot allow you to go back and suffer shame. You have come too far to settle for less than HIS best: know your worth. You have come too far to give up who you are. There is a glorious celebration of your victory .Find your light and never let it go. When darkness closes in, don’t run away, be brave and turn to the light and love of His Word. Most of your dreams will take time to come to realisation but DON’T get discouraged and DON’T GIVE UP! You have come too far in that good work you are doing! You have come too far with God, not to believe! Today is not going to be as bad as your situation will want you to think. You have come too far to go back to your old way of living. Be strong and of good courage. Learn to rest in God. It’s a mark of absolute trust in Him. And remember, your times are in HIS hands. You have come too far, survived so much to give up now. God is up to something even when you don’t seem to see it. YOU have come too far to shrink back or hold back now. You may have made mistakes but you are not the person you used to be, you have come too far to stop now. Refuse to be defined by your mistakes or your past. There will always be room for improvement. And your change is on the way. Don’t give up! You have come too far to give up. It won’t be long. Things are working together for your good. You have come too far to let the drama on the news get you down. You have come too far to start slacking. 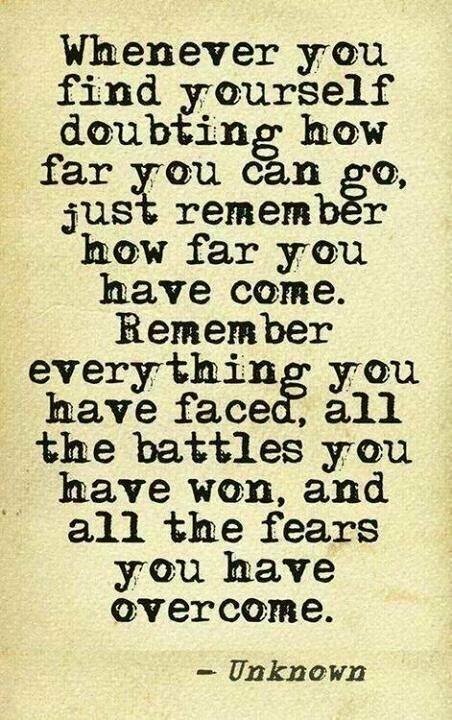 You didn’t come this far only to come this far. Keep pushing, Keep striving! Finish strong, you can do it! God has never planned a defeat for you. He is not about to. You have come too far to give up on Him. You have come too far to believe God is not going to take you any further. You have come too far to give up now! So keep moving forward! Keep your eyes on the finish line. The Hand of God is heavy upon your life, you cannot give up. You have come too far not to go further, you have done too much not to do more. You managed to get this far so there is absolutely no reason why you can’t go on. 2 Corinthians 5:7 (AMP) days, “For we walk by faith not by sight or appearance”. Unfair things happen, stuffs happen – bad marriage or relationship, financial mess, poor health, lack of job, fear, depression, anxiety, benevolence – but you have come too far to let setbacks stop you from stepping forward. Leave it all behind you. Keep going one step at a time. It may look dark, but His grace has brought you this far. You can make it! You will make it! Let me get an Amen! You are A Great Blessing to Mankind. Keep up the good work. For 8years now I have received Words of Hope, Courage, Victory n Revelations through your Ministry.